This plus size Chucky costume will transform you into the possessed killer doll from the Child's Play movies! Who wouldn't want to play with a good guy doll? They have red hair, freckles, and wear overalls. 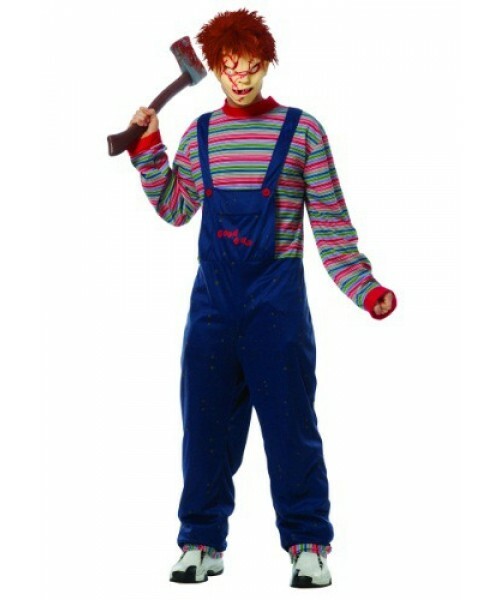 It's unfortunate that one demonic doll had to ruin the Good Guy name, but what a wicked doll! The phrase, 'hi, I'm Chucky, wanna play,' still frightens men, women, and children more than 25 years after the movie came out. And can you blame them? The sight of Chucky wielding a knife, creeping around a child's bedroom is absolutely terrifying and continues to haunt us. 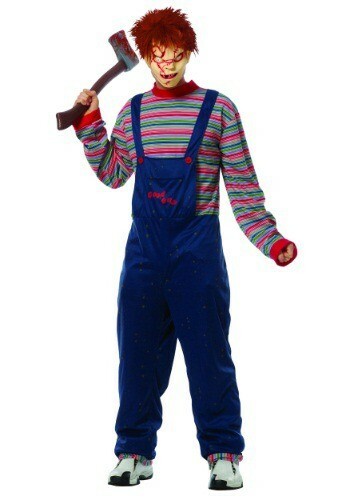 If you're interested in really scaring as many people as possible with your costume, then we definitely recommend dressing as Chucky, or should we say Charles E. Ray!